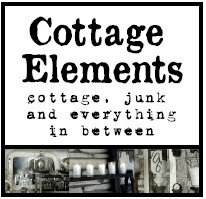 Cottage Elements: Making Art out of Architecture! I LOVE architectural pieces. Can I stress LOVE! 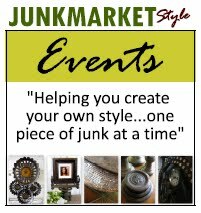 Whether it be corbels, pillars, molding, doesn't matter. I guess I'm an architectural addict. Think I need treatment? Ha! 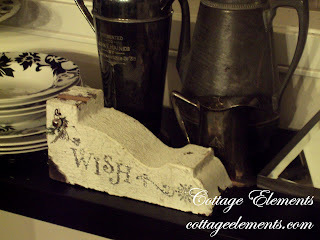 At a recent occasional sale I purchased a bunch of these plain corbels. 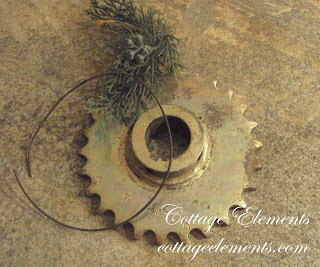 And while they are cool just as they are, I wanted to jazz them up a bit. 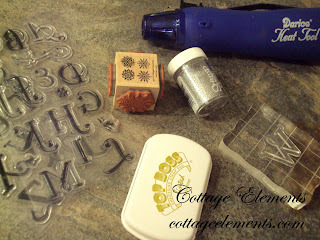 And although I'm not one to be much of an "embellisher", I thought I'd try my hand at embossing. It's kind of fun, and I think they turned out rather snazzy. Let me know what you think. Where they better plain, or do you like the extra bling? I purchased these supplies at the local craft store. 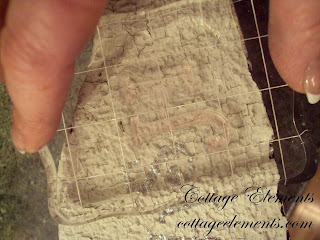 I was a little apprehensive of embossing on old paint. There was the possibility of the old paint lifting. Good news . . . it worked! 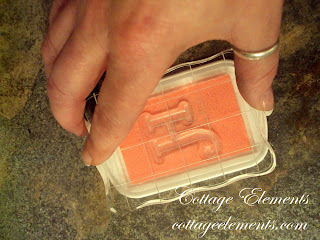 The first step to embossing is applying the embossing ink to your stamp pad. 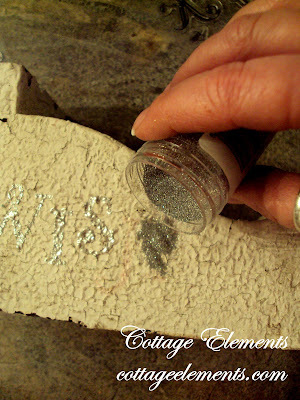 Then apply the stamp to the corbel. 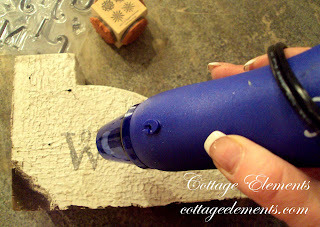 Sprinkle the embossing powder on to the embossing ink you've stamped on the corbel. Tap off any excess powder. Save the excess as it can be reused. Apply heat to the powder, being careful not to apply too much. With a little bit of greens and a bell, wah-lah! You've added some art to your architecture! Here's a couple other words I used. 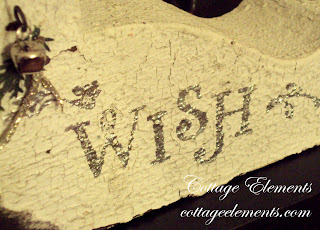 Everyone needs a little "word" of encouragement now don't they? Though this might not be architectural, it's another great piece to embellish. I've been told it's called a sprocket. What's the heck is a sprocket? Your guess is as good as mine. All it needs is a little greens and some wire. Fabulous!! 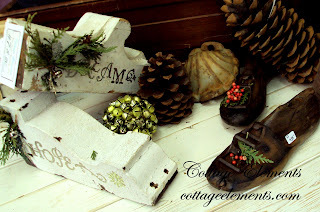 The corbels are gorgeous and well done!! I must agree with Amy. Beautiful! You are so clever! Very cute. Does your imagination ever take a vacation or does it go full speed 24/7? 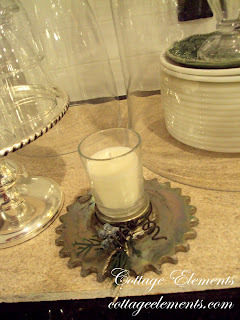 Great idea and pretty too! 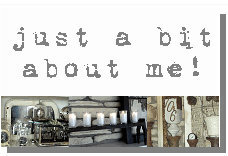 I too am an architectural addict(I love this term). I think they turned out great. oooooh, I love BOTH of these! Nice job there. You need to light that candle too. To see it's true beauty.